Accounting software isn’t just useful when it’s time to do your taxes. It’s so much more than that. Modern accounting software gives you all the tools you need to manage your business’s finances from the comfort of your own home. But which is the best? Are you better off going with one of the big names, or should you try finding a smaller provider? We’ve sifted through all the accounting software providers to sort the best from the rest. Why should I use accounting software in my small business? What accountancy software features should I look for? When it comes to running your business, making sure your books are up-to-date is a must. But this is much easier than it used to be. Time was, accounting used to be something you had to leave to the pros — you’d give an accountant all your bank statements and invoices and receipts, and pay them to do some kind of wizardry. You wouldn’t have any way of knowing what your accounts looked like until your accountant got back to you with the figures — and a hefty bill. However, a new generation of accounting software has changed all that. Now, accounting packages that pull data automatically from your bank can send invoices and follow up on them, automatically categorise transactions, run payroll, and even file income tax and VAT returns. And what’s more, you can run your small business’s finances from anywhere in the world — most modern accounting packages are cloud-based, and many have apps, so you can manage your business on the go. If you want visibility over your small business’s finances — and you really do — then accounting software is a must. It’s not just a knowledge thing, either. Accounting packages have a wealth of features that can streamline your small business’s operations and help you run your business better. What can they do for you? Let’s find out. Your accounting software doesn’t just tell you how much money you make — instead, it’s a dashboard from which you can run your business’s finances. Accountancy packages have features that can help you stay on top of your bills and invoices, cut costs, boost your margins, and make more money. This is the heart of your small business accounting software. The bank feed is a link to your business’s bank accounts, and pulls through all your transaction details to your accounting package. From there, you can see your income and expenditure at a glance, categorise spending so that you keep control of your outgoings, automatically track deductible expenses so you pay the right amount of tax, and more. The bank feed is a crucial part of any small business accountancy package, so it’s vital that yours works for you. One of the most useful features about modern accountancy software packages is that they provide you with a quick and painless way of invoicing your clients. Most accountancy packages worth their salt have an invoice creator which allows you to generate invoices in a flash and send them off to clients with a few clicks. And you can mark invoices as paid from your bank feed, which means you don’t have to comb through months of paper invoices and bank statements every month. Some accountancy packages will chase up unpaid invoices for you, as well, automating the pestering process. This can be a real godsend if you’ve got lots of customers, some of whom tend to be a bit, well, tardy with their payments. The other side of the coin is billing — how much money you and your business owe to your creditors. This allows you to track your spending and predict your cashflow, as well as making it easier to see what bills you’ve paid and what you have yet to pay. Many accountancy packages allow you to set up recurring customers and save their details. This makes invoice creation even quicker and easier, and it allows you to calculate the lifetime value of a client for you — making it simple to find out how profitable a client is. If you have employees then running payroll is an absolute necessity. Not only do you need to keep tally of what you’re paying, but you need to calculate NI and PAYE taxes, pension contributions, and submit it all to HMRC. Modern accountancy software takes the headache out of payroll, automating all these processes. Many popular accountancy packages offer payroll features, providing you with all the features you need to track staff hours, calculate wages and deductions, and pay your staff. If you need to run payroll then it’s worth looking at the terms your package offers — many packages that run payroll will charge you for each employee, every time you run payroll. It’s rarely a large sum but it’s worth bearing in mind if your margins are tight. If your annual turnover is in excess of £85,000 then you’ll need to register for VAT, charge your customers VAT, and submit quarterly VAT returns to HMRC. Many accountancy packages can help with this — they keep track of what VAT you’re billing and what VAT you can claim back, and automatically compile reports. And some even fill out VAT returns and send them automatically. And sole traders have to pay income tax on all their business’s takings. Keeping track of business and personal expenditure can be tricky, but accounting packages geared for freelancers and sole traders can help to ease the burden. Some of these packages can submit income tax returns to HMRC at the press of a button, too. Keeping track of expenses is tricky, to say the least. Expenses can fall into any number of categories, some of which are tax-deductible and some of which aren’t. There are expenses that you have to reimburse yourself, and some that need to be rebilled to clients. And getting your employees to submit claims is a whole different matter. And if you’re on the road, then mileage and fuel is something else to consider — there are different rules governing these expenses. Accountancy software can help make this easier — most packages have expense features that provide a simple way for employees to submit expense claims, and auto-categorise expenses into deductibles and non-deductibles so that you pay the right amount of tax. Quickbooks Online is the the cloud-based offering from Intuit, the brains behind Quickbooks, TurboTax, and Mint. Quickbooks has been going for a few decades, and Quickbooks Online is distinct from their desktop offering. It’s geared towards freelancers and small businesses looking to do their own bookkeeping, and is based around its bank feed, which pulls through data from your connected bank accounts and allows you to see money coming in and out, categorise transactions, forecast cash-flow, and more. Quickbooks can automatically track mileage using an app that syncs up with your phone’s GPS. Its invoicing feature is robust and easy-to-use, and gives you the option to take payments directly from the invoice using PayPal and GoCardless. There’s a range of features aimed at sole traders and SMEs, with different price plans aimed at different audience. It’s important to bear in mind that each price plan nets you a different feature set. The self-employed package is aimed at freelancers, and it calculates your personal tax returns for you you. It even submits them to HMRC at the end of the tax year. But, that package doesn’t have the capability to handle VAT or run payroll. The Essentials and Pro packages are aimed at SMEs, and don’t have the capacity to calculate income taxes. But they can calculate and file VAT returns, and run payroll for you — at an additional cost of £1 per employee. The Pro package has the capability to manage stock and inventory, and to create and track costs on projects. It’s more useful for businesses with something physical to sell than it is for digital-only businesses. Both of these packages have the option to run payroll and submit all the relevant details to HMRC and pension providers, at a cost of £1 per payslip. But the Self-Employed package doesn’t offer this capability at all. Quickbooks’ pricing plans can be complicated, and the Pro option may be unaffordable for new businesses that need project and client management, while the Self-Employed option is lacking in some features that are useful for freelancers. Quickbooks only offers email support, and their customer service has come under fire for tardiness. That said, they’ve been clearing up their act lately, and their customer support has improved. Xero and Quickbooks are two of the biggest names in the online accounting world, and their products are pretty similar. Xero has been around since 2009, and their cloud-based software is aimed at SMEs and sole traders. Like Quickbooks, Xero is built around the bank feed, which pulls your bank details and transactions through automatically, sorting and categorising your transactions. It has a super-simple invoice creator that gives you the option to take payments directly from the invoice — Xero integrates with Stripe, Paypal, and Apple Pay. We at Nobly POS have our own Xero integration, allowing users of our iPad Point of Sale system to send data directly from your system to help you manage your finances better and ultimately saving you time. If you’re VAT-registered, Xero tracks your VAT-able income and expenditure, with the ability to cope with variable and zero-rated items, EU and international purchases, and to submit VAT returns at the touch of a button. 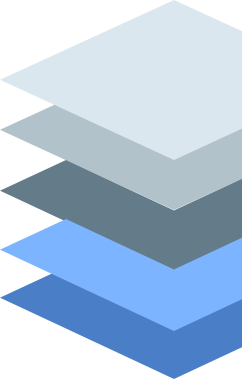 Xero has three pricing tiers, Starter, Standard, and Premium, and they all have access to the same features — the only difference between Standard and Premium is that Premium allows you to operate in multiple currencies. All pricing tiers have the option to run payroll, at £5 per month for your first five employees and then £1 per employee per month for anyone else. That said, their Starter tier comes with some pretty severe limitations — you can only send five invoices per month, only enter five bills, and only reconcile 20 transactions. This effectively leaves their cheapest tier pretty much useless for all but the very smallest of small traders. Unlike Quickbooks, though, there’s no option to calculate or submit income tax returns, meaning that freelancers and the self-employed have to fend for themselves. Xero has a great bank of support documents, and offers live-chat and email support. That said, they don’t offer live phone support. 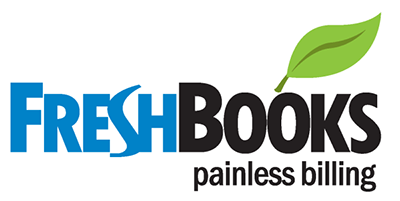 Freshbooks is less an accounting software package, and more a project management platform with a bank feed and financial reports. It’s geared towards freelancers who work with clients and contractors. Where Freshbooks stands out from the competition is its Projects dashboard, which gives freelancers and their employees, contractors, and clients a place to collaborate, discuss, and upload files, as well as to track project status, send invoices and estimates, and tot up project expenses. All this comes at a cost, though — you have to pay a fee of $10 for each additional team member. This might well be worth it for bigger projects, but freelancers with smaller clients may find that this doesn’t pay off. Subscribers to the Plus tier, which is $25, and the Premium tier, which is $50 (the company is US-based) can send proposals and automatically chase invoices. Their Lite tier is more limited in features, and you’re also limited to five clients, which makes it pretty useless for all but the smallest of small businesses. Freelancers with a turnover of £85,000 may be disappointed by the lack of VAT features. That said, their project management features might well make up for it. Freshbooks’ Project dashboard is a real USP in a market that is filled with apps that all do pretty much the same thing. The best things in life are free — and Wave is one of those things, for the most part at least. Like Quickbooks and Xero, Wave is based around the bank feed, which pulls data through from your bank and automatically categorises transactions and generates reports based on your income and expenditure. Wave is best-suited to freelancers and smaller SMEs who don’t need complex project management or VAT calculations — it can’t fill out income tax returns, either, although it gives you all the info you need to do so. That said, Wave uses the double-entry accounting system and allows you to set up custom accounts, meaning you can get as complex as you like — and Wave’s slick interface means you can do this without getting bogged down in menus and journal codes. Wave makes it easy to set up and send professional-looking invoices, and you can take credit or debit card payments over Stripe. Wave also runs payroll, but at present that feature is limited to US and Canada-based users. Their support offering isn’t the strongest. They’ve got a large bank of resources, and email support, but no live chat or phone support. It’s a trade-off to bear in mind, for sure. Sage Business Cloud is the new name for Sage One, the SME-focused cloud service from accounting giants Sage. It’s got a robust feature set that will handle pretty much anything a small business can throw at it, including cashflow forecasts, and generating packing slips and order notices — or at least the Accounting package does. The cheaper Accounting Start package has basic capabilities, and will do fine for freelancers and SMEs that just want to pull their transactions through, create and send invoices, and send VAT reports off to HMRC. It’s missing some of the features that make Accounting and Accounting + Payroll such a great proposition. Sage Business Cloud has a different interface to the competition, and it can get a bit clunky at times. Rather than having a dashboard that gives you headline figures at a glance, it has five different tabs for Getting Started, Sales, Expenses, Cash Flow Statement, and Cash Flow Forecast. It’s a powerful system but it’s not necessarily the most intuitive. All tiers of Sage Business Cloud can generate VAT returns and send them off to HMRC, but sole traders might be disappointed to find that the software can’t fill out income tax returns. Payroll is available as an add-on to the Accounting package, albeit an expensive one. Sage offers support over the phone, live chat and email. Zoho isn’t as big a name as Quickbooks or Xero, but that’s no reason to discount it — their offer is a compelling one, especially given their pricing. Zoho Books features deep integrations with other applications in the suite of Zoho apps, including Zoho CRM and Zoho Expenses, as well as Office 365, Slack, and Square — among others. It offers users a great deal of customisation and flexibility without becoming complicated to use or looking cluttered, and it offers pretty much all of the tools that SMEs need to run their business — except payroll. One area where Zoho Books particularly stands out is client management. Each of your customer has its own mini-dashboard where you can see breakdowns of project cost and profitability, and track their orders. Another area where they perform strongly is inventory tracking — something that not many accounting programmes do, full stop. It’s easy to set up item records and track inventory levels automatically when you add items to invoices. Zoho Books offers phone support, as well as support over live chat and email. FreeAgent was founded by freelancers, for freelancers, and has since branched out into accounting services for partnerships and limited companies. It offers different pricing tiers for different types of business, with the features that they need — so the Sole Trader package can submit self-assessment income tax returns, while the Partnership package can calculate profit shares, and the Limited Company package can assess directors’ dividends and forecast corporation taxes. 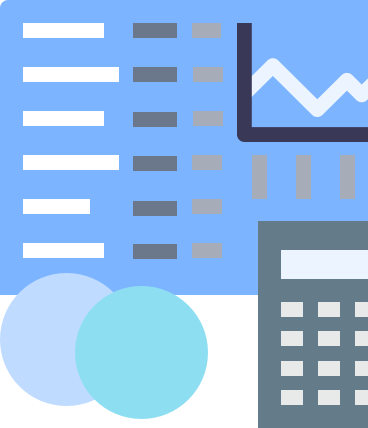 Like most other accounting packages, FreeAgent is based around the bank feed, which pulls data through and automatically categorises expenses and income. FreeAgent has the ability to automatically fill out and submit self-assessment income tax returns, VAT returns, and director dividend paperwork. Creating invoices is easy enough, but FreeAgent’s somewhat clunky interface makes things like rebilling project expenses to clients’ invoices a fiddle — things that should be simple are very often not intuitive. That said, it’s easy to create and send project estimates, and convert approved estimates into invoices with just a click. 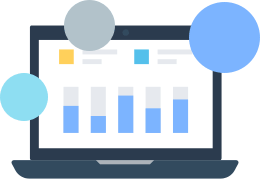 FreeAgent’s projects dashboard breaks down income and expenditure by project, and can tell you precisely how much time you’ve spent on a project and how profitable it is, but its interface is cluttered and can be difficult to read. FreeAgent integrates with Stripe so that customers can pay with credit and debit cards. One useful feature for freelancers is a stopwatch that tracks time spent on tasks, and can be used to generate timesheets, which can be pulled through automatically to invoices. FreeAgent has some powerful features, but it’s an expensive option, especially for freelancers and the self-employed. Kashoo is slick and easy-to-use, but its feature-set leaves a lot to be desired. 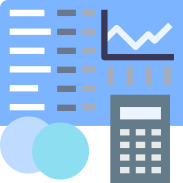 Like most other accountancy packages, Kashoo is based around the bank feed, which pulls data directly from your bank account and automatically categorises transactions. 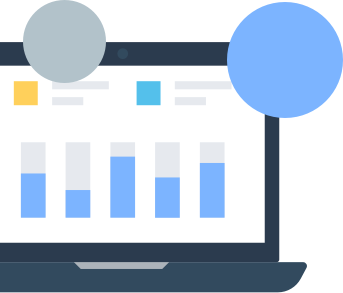 Kashoo’s interface is clean and simple, and it’s easy for small business-owners to get headline figures about their business’s activities, or to drill down deeper into individual projects, clients, and transactions. Their iPad app has an even better interface than their website, with a beautifully-designed dashboard and the ability to create invoices with just a few taps. One nice feature is that you can snap receipts using the iPad’s inbuilt camera and attach them to expenses, all from within the app. Kashoo’s iPad app is one of the best in the industry, not just because it’s pretty to look at, but because it’s as fully-featured as the web version. 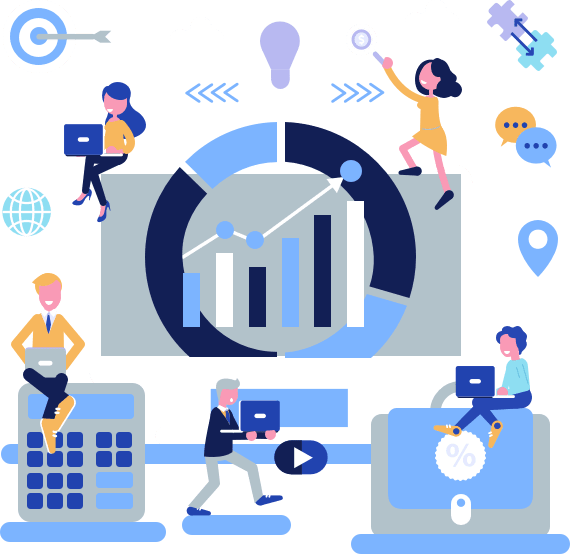 Many accounting software providers offer a stripped-down or feature-light version of their web-based offer, but Kashoo’s stands out. They also have a very strong customer support offer, with a knowledge base full of articles on using the app, and support over email, live-chat, and phone. It’s worth bearing in mind, though, that their support line is only open 9-5 Pacific Standard Time, eight hours behind GMT. They’re somewhat light on features, though. Kashoo can’t create estimates, which are pretty vital for many businesses. It also misses out on some crucial reports — including profit and loss reporting. It’s hard to recommend Kashoo because of this — their iPad app isn’t enough by itself to justify the cost. GoDaddy Bookkeeping is the new name for Outright Accounting, which was snapped up by the web hosting service in 2012. 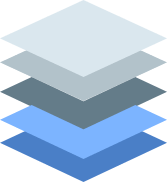 It differs from the competition in that, as well as a standard bank feed, it integrates with ecommerce sites like Amazon, Etsy, and eBay, making it a strong candidate for businesses using those services. It’s a very user-friendly system, although its interface is somewhat outmoded. It’s very simple to set up, and creating and sending invoices is easy. The system will chase up unpaid invoices automatically, which is a nice extra. GoDaddy has three tiers, Get Paid, Essential, and Premium. Get Paid only gives you access to the most basic features — you can send invoices and estimates, track mileage, and pull data through from ecommerce sites. It doesn’t have a bank feed, though, which is pretty crucial for most small businesses — without it, the Get Paid package is more an invoicing and bookkeeping tool than full-blown accountancy software. Essential and Premium have more in-depth reporting capabilities and, most importantly, a bank feed, making them a better bet. GoDaddy’s ecommerce integrations might be a must-have for some small businesses, but their Get Paid package isn’t worth it. Platinum users get a free half-hour consultation with one of Billy’s small but growing network of partnered accountants. This alone makes the (slightly pricey) Platinum tier worth it. Billy is geared towards freelancers, and this feature helps people who might not otherwise have access to an accountant. Platinum users also get access to priority support, with a guaranteed two-hour reply time. The site has a clean and easy-to-navigate interface which makes it easy to send quotes and estimates, which clients can digitally sign and send back. Unlike some on this list, Billy doesn’t limit subscribers on lower tiers to a certain number of clients or invoices, and all tiers allow you to operate in multiple currencies. Billy’s a solid option for freelancers and self-employed professionals, although those in need of payroll services and PayPal integrations should look elsewhere. We think Zoho Books is the one to beat, certainly at its price point. Despite being one of the cheapest options on our list — it’s edged out by GoDaddy Bookeeping, and ties with Quickbooks’ Self-employed package — Zoho Books has one of the fullest feature sets out there, and deep integrations with the rest of Zoho’s cloud software suite only sweetens the deal. Unlike many of our other competitors, Zoho Books’ lower pricing tiers aren’t limited in features. That said, payroll would be a nice addition. At present, Zoho Books doesn’t offer payroll, meaning that businesses that employ people will need to run a payroll solution alongside Zoho Books, but for many smaller businesses this won’t be a dealbreaker. Zoho Books is up against some stiff competition, but it’s a worthy winner.